Misunderstudio is more than a place. It’s an artist friendly environment built with the vision of a musician. In 1996, Michael Lescelius moved his studio from the noisy streets of Cicero, just outside Chicago, to the rural splendor of Murphysboro, Illinois. Here is a place where musicians can take the music in their imagination and make it available for everyone to hear. Without distractions, without being rushed, and with all the expertise of recording in a studio run by a musician/engineer. 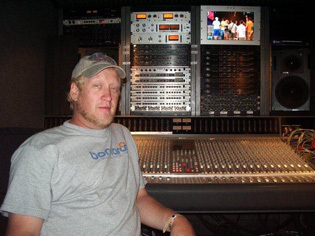 Mike gently brings artists from the idea stage to the sound stage, guiding the artist, and producing the exactly the right sound. This artists’ retreat offers comfortable spaces to support and challenge musicians. From the big comfy couch to a front deck for star gazing, Mike created a studio where musicians feel at home, safe, and able to explore their own talent and creativity beyond any limits.